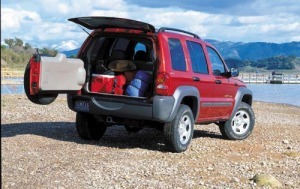 Includes vehicle with standard equipment, 3.7L Power Tech V6 engine, 5-speed heavy duty manual transmission and 3.73 axle ratio, air conditioning, front and rear floor mats, roof rack, tilt steering column, 16" x 7" steel wheels, power windows with driver and front passenger express down, rear cargo storage net, cargo compartment light, front reading lights, rear power outlet and dual illuminated vanity mirrors. Includes vehicle with standard equipment, 3.7L Power Tech V6 engine, 4-speed automatic transmission, 3.73 axle ratio, air conditioning, front and rear floor mats, roof rack, tilt steering column, 16" x 7" steel wheels, power windows with driver and front passenger express down, rear cargo storage net, cargo compartment light, front reading lights, rear power outlet and dual illuminated vanity mirrors. 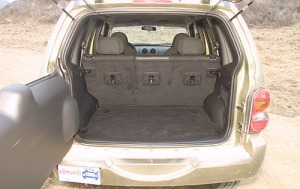 Includes vehicle with standard equipment, air conditioning, front and rear floor mats, roof rack, tilt steering column, 16" x 7" steel wheels, power windows with driver and front passenger express down, rear cargo storage net, cargo compartment light, front reading lights, rear power outlet and dual illuminated vanity mirrors. Includes vehicle with standard equipment, 3.7L Power Tech V6 engine, 4-speed automatic transmission, 3.73 axle ratio, air conditioning, cargo trim panel with storage net, cargo compartment lamp, map lamps, rear 12V power outlet, dual illuminated vanity mirrors, graphite color fascias, grille and flares, front and rear floor mats, fog lamps, deep tint sunscreen glass, illuminated entry, remote keyless entry, speed-sensitive power locks, power windows with one-touch feature for driver and front passenger, fold-away power mirrors, AM/FM radio with single CD player and CD changer controls, cloth seats with gray inserts, roof side rails, cruise control, tilt steering column, leather-wrapped steering wheel, P235/65TR17 all-season tires and 17" aluminum graphite color wheels. Includes vehicle with standard equipment, 3.7L Power Tech V6 engine, 4-speed automatic transmission and 3.73 axle ratio. Includes vehicle with standard equipment, 3.7L Power Tech V6 engine, 5-speed heavy duty manual transmission, 3.73 axle ratio, air conditioning, cargo trim panel with storage net, cargo compartment lamp, map lamps, rear 12V power outlet, dual illuminated vanity mirrors, graphite color fascias, grille and flares, front and rear floor mats, fog lamps, deep tint sunscreen glass, illuminated entry, remote keyless entry, speed-sensitive power locks, power windows with one-touch feature for driver and front passenger, fold-away power mirrors, AM/FM radio with single CD player and CD changer controls, cloth seats with gray inserts, roof side rails, cruise control, tilt steering column, leather-wrapped steering wheel, P235/65TR17 all-season tires and 17" aluminum graphite color wheels. Includes vehicle with standard equipment, 3.7L Power Tech V6 engine, 5-speed heavy duty manual transmission and 3.73 axle ratio.